Investor Jim Rogers, the chairman of Rogers Holdings who predicted a global commodities rally in 1999, said Myanmar is embracing reform as China did decades earlier and he’s optimistic about the resource-rich nation’s prospects. Mr Rogers’ comments highlight increased investor interest in the economy that may be Asia’s ‘next economic frontier’, according to the International Monetary Fund (IMF). The IMF is pushing for an overhaul of Myanmar’s finances as President Thein Sein releases dissidents and engages with opposition leader Aung San Suu Kyi in moves that have prompted the US and Europe to reassess sanctions against the former military dictatorship. China’s Deng introduced capitalist reforms in the late 1970s, lifting more than 200 million people out of poverty and transforming the nation into the world’s second-largest economy and its biggest consumer of steel, copper and coal. Myanmar may grow 5.5 per cent in 2011-2012 and 6 per cent in 2012-2013 on commodity exports and higher investment, the IMF said last month. The country ‘could become the next economic frontier in Asia’ if it takes advantage of its natural resources and proximity to China and India, according to Meral Karasulu, who led an IMF mission to the country in January. George Soros, the billionaire investor, said last month he had visited Myanmar recently and the president and his ministers ‘genuinely want an opening’. Rice exports from Myanmar, formerly the world’s largest shipper, may more than double to 1.5 million tonnes this year, the Myanmar Rice Industry Association forecast last month. Sales totalled 700,000 tonnes in 2011. My goal in this Investment Outlook is not to pick a “doggie bone” with the Chairman. He is makin’ it up as he goes along in order to softly delever a credit-based financial system which became egregiously overlevered and assumed far too much risk long before his watch began. My intent really is to alert you, the reader, to the significant costs that may be ahead for a global economy and financial marketplace still functioning under the assumption that cheap and abundant central bank credit is always a positive dynamic. We offer our latest analysis on the precious metals market. After two weeks of consolidation, precious metals finally awoke from their slumber over the past few days. Gold, silver and palladium spiked to the top of their recent ranges, while platinum broke out to fresh multi-month highs. A strike at the world’s largest platinum mine, Rustenburg in South Africa, has led to the loss of more than 80,000 troy ounces of the metal over the past month. The mine’s operator, Impala Platinum, said resumption of full production will take weeks, at least. Analysts warn that the situation could get uglier if labor unrest spreads to other companies. South Africa’s total output was 4,775,000 troy ounces in 2011, which represented 75 percent of global output. Prices for platinum have surged in recent sessions, now trading at a five-month high. The metal is quickly closing in on parity with gold prices. After the recent breakout, prices have a clear path toward the multi-year high above $1900, leaving substantial upside from here. While gold also has been performing well, the gold/platinum ratio has been quickly falling amid platinum’s outperformance. It was last trading near 1.02 after peaking above 1.15 late last year. Over the past three decades, the ratio has been significantly below 1. 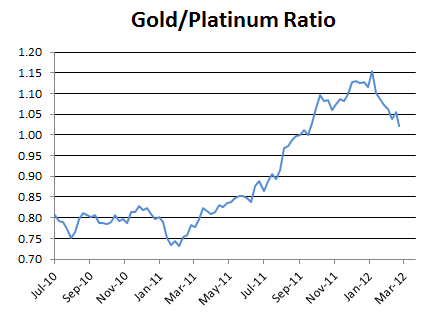 Thus, continued platinum outperformance over gold would not be surprising as the ratio declines further. Downside risk in equity markets and most sectors exceeds short term upside potential. Short term weakness will provide an opportunity to enter into seasonal plays this spring including Energy, Mines & Metals, Chemicals and Auto sectors. Energy already is showing early signs of seasonal strength. Crude oil recently entered into a period of seasonal strength. What are prospects this year? EquityClock.com notes that West Texas Intermediate (WTI) crude oil prices during the past 20 years have a period of seasonal strength from the middle of February to the end of July. Average gain per period is 7.5 per cent. The seasonal “sweet spot” is from the middle of February to the end of May. Average gain per period was 6.0 per cent. Strength in WTI crude oil prices during the “sweet spot” is related to rising seasonal demand triggered by a recovery in the economy following the slower winter season. 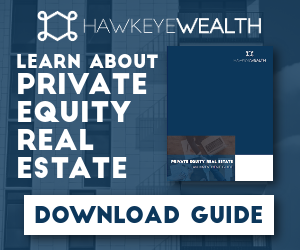 Notable gains are recorded by the transportation, construction and auto sectors. Once again, demand by these sectors is expected to rise this spring, particularly in Canada, United States, Japan, China and India. Crude oil prices during the “sweet spot” this year are expected to be impacted by several special events that have limited supply. The price of Brent crude oil has jumped more than 14 per cent since mid-December despite a gain of only 8 per cent by WTI crude oil. Brent prices have responded to a decision by European buyers to switch from production from Iran to other sources including North Sea oil. Rising Brent prices slowly, but surely, is filtering back to WTI crude oil prices. Concern about political instability in the Middle East also is an influence. Iran has threatened to close the Straits of Hormuz if attacked. International concerns about Iran’s nuclear program likely will continue to escalate this spring. On Wednesday, Iran denied a rumor that oil shipments to six European nations had been halted due to recent plans taken by European nations to discontinue purchases of crude oil from Iran by July. On the charts, the technical picture on WTI crude oil prices is positive and improving. Intermediate trend is up. Support is at $95.44 and resistance is at $103.74. Crude oil recently bounced from near its 200 day moving average at $94.59 and broke above its 50 day moving average at $99.32. Short term momentum indicators are recovering from oversold levels. 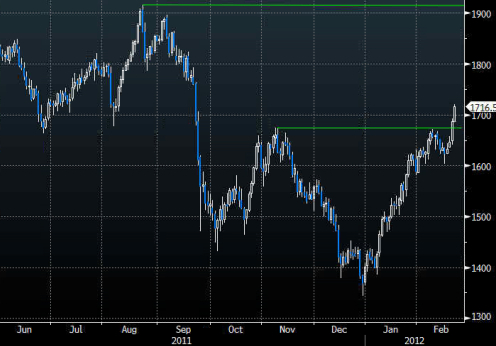 A break above resistance implies intermediate upside potential to $112.75 per barrel. Investors can participate in seasonal strength in crude oil directly or indirectly. The direct method is to accumulate futures and Exchange Traded Funds that track the price of crude oil. The best known and most actively traded Exchange Traded Fund is United States Oil Fund LP (USO $39.18). In Canada, Horizons offers several currency-hedged Exchange Traded Funds trading in Canadian Dollars that are directly related to crude oil futures. The indirect way to invest in crude oil is in “oily” stocks. in the various client portfolios managed by Horizons Investment Management. Some downbeat economic numbers from Europe combined with disappointing earnings from Dell Computer to hold stocks under water on Wednesday. The stock market has been acting somewhat tired, particularly after the so called “deal” on Greece. There doesn’t seem to be a catalyst to push stocks meaningfully higher on the short term. 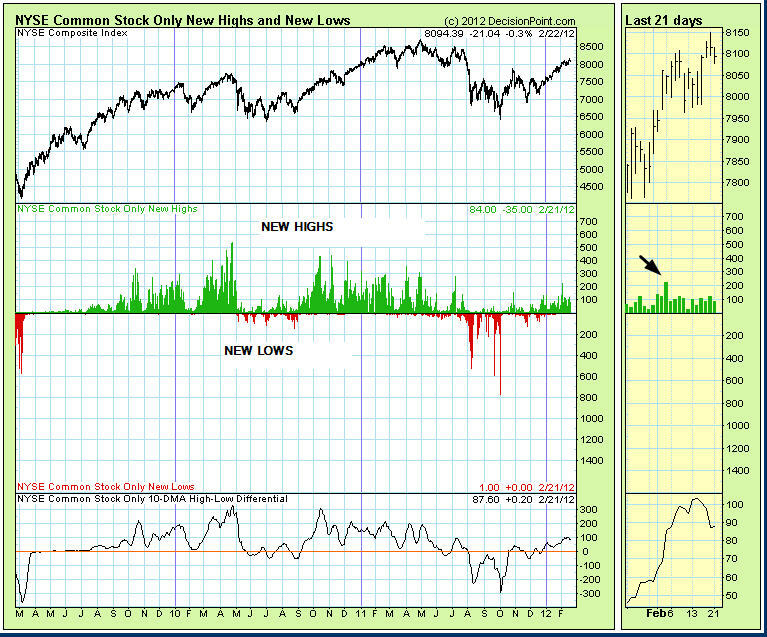 Besides the overbought condition, one indicator that concerns us is the number of new yearly highs. over the past two weeks, as the market has pushed higher, new highs have attenuated (arrow). That is frequently a signal that the market needs a short rest. We can see this in the chart below courtesy of Decisionpoint.com. 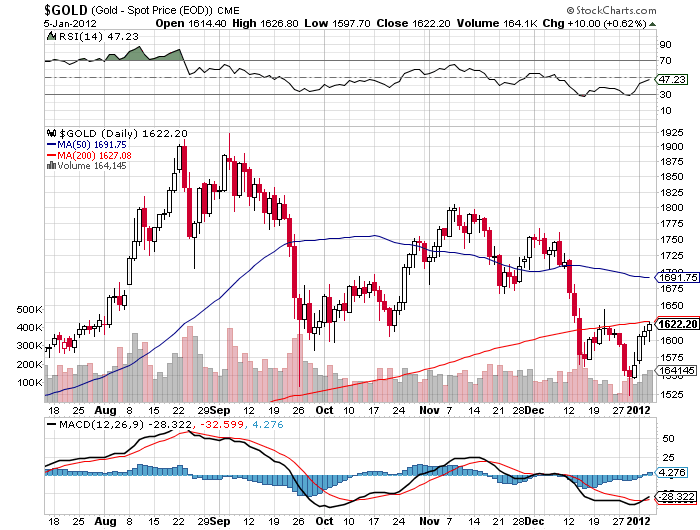 GOLD: Gold started off rather lackluster, but came on strongly as the day progressed. The yellow metal is looking pretty good here. 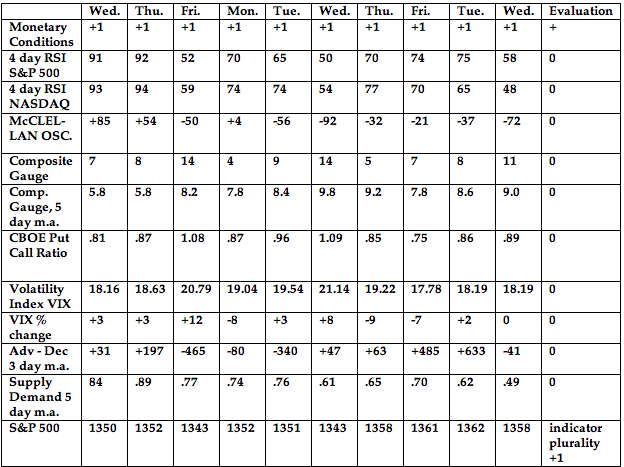 BONDS: Bonds rebounded somewhat on Wednesday. THE REST: The dollar was up a bit and this probably helped push down silver, copper and crude oil, but gold bucked the trend. Our intermediate term systems are on a buy signal. System 2 traders are in cash. Stay there for now. System 7 traders are in cash. Stay there for now. Existing home sales came in at 4.57 million, less than the expected 4.69 million. On Thursday we get initial jobless claims and oil inventories. We’re on a sell for bonds as of December 21. We’re on a sell for the dollar and a buy for the euro as of January 18. We’re on a buy on gold as of Feb. 21. We’re on a buy on silver as today Feb. 21. 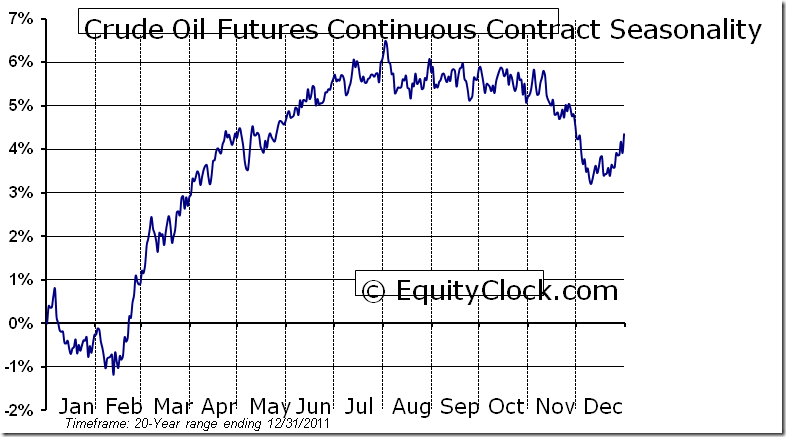 We’re on a buy for crude oil as of Feb. 13. We are long term bullish for all major world markets, including those of the U.S., Britain, Canada, Germany, France and Japan. Timer Digest of Greenwich, CT monitors and ranks over 100 of the nation’s best known stock market advisory services. Once per year in January, Timer Digest publishes the rankings of all services monitored for multiple time frames. For the years 2003, 2004 and 2005, The Todd Market Forecast was rated # 1 for the preceding ten years. For the year 2006, we slipped to # 3 and in 2007, we were ranked # 5. Our bond timing was rated # 1 for the years 1997, 2007 and 2008. Gold timing was rated # 1 for 1997 and # 2 for 2006. and # 1 for 2011. We were # 1 in long term stock market timing for the years 1998 and 2004 and # 4 in 2010. We provide daily commentary via e-mail for the stock market, gold,monthly newsletter. Our approach is mainly technical in nature. We pay attention to chart patterns, volume, overbought – oversold indicators and market sentiment. 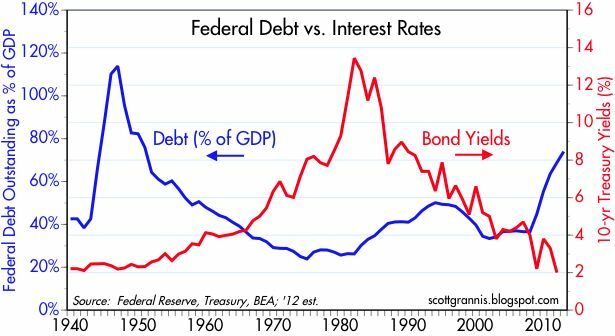 However, consideration is also given to fundamentals such as interest rates, Fed policy, earnings and the economy. Monetary conditions (+2 means the Fed is actively dropping rates; +1 means a bias toward easing. 0 means neutral, -1 means a bias toward tightening, -2 means actively raising rates). RSI (30 or below is oversold, 80 or above is overbought). McClellan Oscillator ( minus 100 is oversold. Plus 100 is overbought). Composite Gauge (5 or below is negative, 13 or above is positive). Composite Gauge five day m.a. (8.0 or below is overbought. 13.0 or above is oversold). CBOE Put Call Ratio ( Below .80 is a negative. Above 1.00 is a positive). Volatility Index, VIX (low teens bearish, high twenties bullish), VIX % single day change. + 5 or greater bullish. -5 or less, bearish. Advances minus declines three day m.a. ( +500 is bearish. – 500 is bullish). Supply Demand 5 day m.a. (.45 or below is a positive. .80 or above is a negative). No guarantees are made. Traders can and do lose money. The publisher may take positions in recommended securities. Metals took off for the same reason stocks rallied. Platinum saw a new recovery high of 1646 along with Palladium which traded at 717. Silver touched 34.58, just four cents under its February 34.62 peak. Gold fell a tad short too touching 1761.50 versus its February 3 peak at 1764.20. The burden of proof is on the bulls here, but ‘seasonality’ for gold is beginning to run out. I would still like to see silver push back toward my projected 30-31 pullback zone. Afterwards, my target is first 37 on its way to 42-43. Gold targets to the mid 1800s and perhaps back to its record 1922 high, but I was thinking we should first see more of a pullback, perhaps into the 1600s. So far, this market has said it has other plans. Stay tuned. By its nature, confirmation of an important low will usually be belated and will therefore usually not coincide with a good short-term buying opportunity. In general, buying should be done in response to pronounced weakness, not strength. For example, it made more sense to buy near the start of trading on Thursday 16th February, with the gold stock indices having just fallen for 9 days in a row and looking like they were about to extend the losing streak to 10 days, than to buy at the end of January with the XAU appearing to have just broken out to the upside. It’s possible that the gold-stock indices bottomed on the morning of 16th February, but at this stage the price action is non-committal. If a short-term bottom had been put in place last Thursday it would have been normal for there to be some follow-through to the upside on Friday, so the fact that Friday was another down-day leaves open the possibility that the indices will make new multi-week lows this week. If a break to new multi-week lows occurs this week it will create an opportunity for under-exposed speculators to do some buying. It won’t, in our opinion, signal that major additional weakness lies ahead. There is a realistic possibility that the HUI and the XAU will test their late-December lows before the end of this month, but very little chance that they will do worse than that before commencing their next tradable rallies. The mission of The Speculative Investor (TSI) is to provide our subscribers with information that not only helps them understand and profit from changing financial market trends, but is also interesting and thought-provoking.